Techno Enterprises, Mumbai, are one of the leading supplier, manufacturer, exporter and trader of wide range of high quality plastic jars used to fill creams, gels, scrubs, powders and ointments for sale. We cater these products to both national and overseas customers at cost effective market prices. We were established in 2011. We have a team of expert professionals, skilled labor and efficient employees who work in close coordination with each other to offer quality assured range of products. Our products are fully tested by these professionals before being dispatched to our customers. We involve latest technology machinery and high quality raw materials for manufacturing of these products. Our products are available in various shapes, sizes, colors and patterns that best suit the requirements of our clients. Our products can be customized according to the demands of our clients as well. We are led by Mr. Tushar Pithwa, who has a vast experience in this domain. His vision helps us to foresee the market trends, which further enables us to manufacture products as per the changing market demands. Being a client-centric organization, we aim to create a special niche for ourselves in this highly competitive market. We believe in effective and timely delivery of our products. We have our huge client from East Middle Africa, Indian Subcontinent & Middle East. 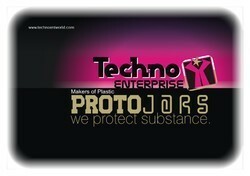 Techno Enterprise likes to expand its production & capacity for vast plastic base article demands. Interested parties or individuals are welcomed to participate in this business chain lobby by their efforts of their capacities of fund partnering or dealership functioning or regional network fulfilling positions. 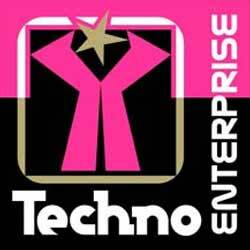 Techno Enterprise invites proposals from plastic base product purchase managers, region wide plastic base product distributors, stockiest, suppliers or dealers, independent marketing representatives, plastic product mould designers from all over India. With our profound objective to deliver our prospects machinery offering longer-functional life and superior performance, we have developed a sound infrastructure sprawled over a wide area. There, we have installed advanced machinery, so that streamlined production could be achieved. Segregation of our infrastructure into several departments has been done, so that tasks could be completed with ease & convenience and in a hassle-free manner. We have divisions like procurement unit, quality control division, engineering unit, management department and marketing unit. Mr. Tushar Pithwa is a Plastic Engineer & has experience of packaging & industrial products for more than 10 years. The company is headed & run by Mr. Tushar Pithwa who is the Gujarati Vishwakarma the original creative craft community member. Techno Enterprise also undertakes the whole article article development projects as per the requirement of clients right from the article design, mould development to supplies.Techno Enterprise assures the good quality, timely supply with very fair prices of the products. To keep pace with the current market requisites, we have employed a team of experienced professionals. These personnel incorporated with us, have acquired in-depth knowledge in the specified business and thereby utilize their innovative ideas in conducting the production tasks. Hired by following stringent procedures, these professionals are well-versed with modern technology and the prevailing market trends and thereby capable of manufacturing flawless offerings.